Designed for close-up work like inspecting small areas or reading without hurting your eyes due to too much light, the Coast G20 Inspection Beam LED Penlight produces a smooth beam with consistent brightness from one edge to the other without a hotspot. This low-power illumination tool has a single output, runs on a two included AAA batteries, and is operated with a simple on/off push button located on the tailcap. Its gunmetal anodized aluminum body is durable while also being lightweight and water resistant to an IPX4-rating to hold up to use in rainy weather. For convenient carry the G20 has a removable pocket clip. 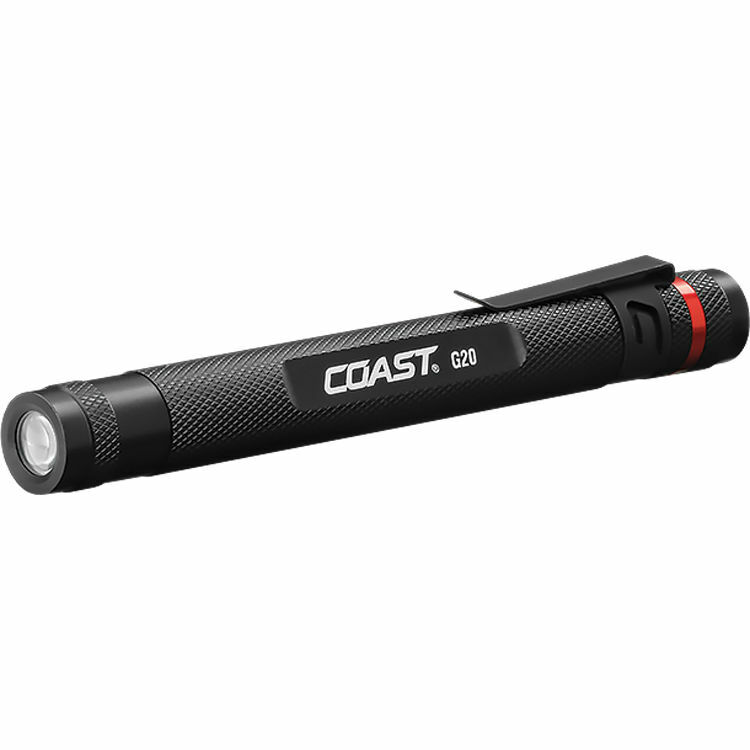 Easy to carry and even easier to use, the light weighs less than 2.4 ounces and is just 5.7" long to comfortably fit in almost any pocket. Box Dimensions (LxWxH) 9.25 x 4.65 x 1.0"